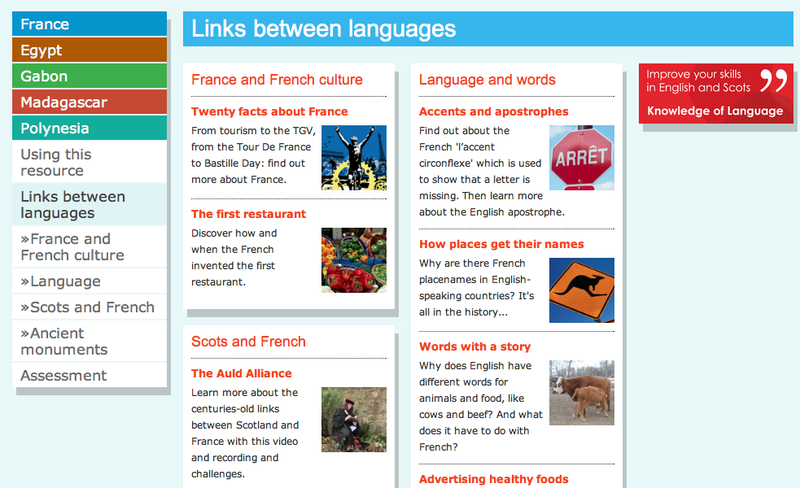 Education Scotland publishes new online resource for modern languages called ‘Passeport pour la Francophonie’ at the Scottish Learning Festival on 19 September 2012. Passeport pour la Francophonie will support primary teachers to provide stimulating and exciting learning experiences at second level, developing skills for reading, writing, listening and talking. 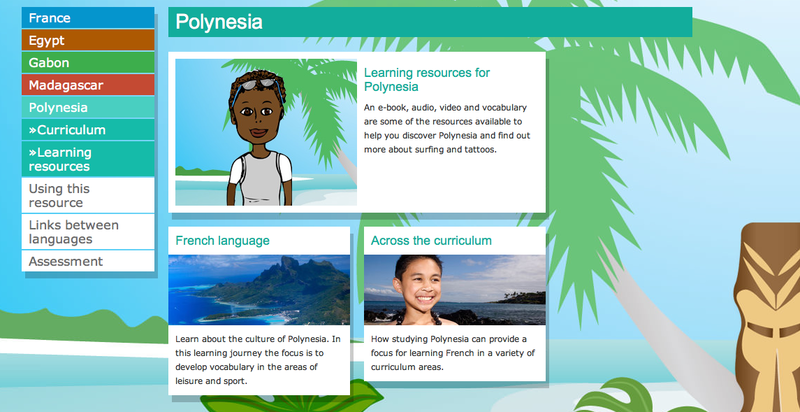 The website provides suggestions for exploring the other curriculum areas such as religious and moral education or maths and numeracy through the medium of French language and culture. Announcing the launch of the resource Education Scotland Strategic Director Kenneth Muir said, ”Passeport pour la Francophonie’ will support teachers in building confidence to embed language learning across the curriculum in an integrated and interdisciplinary way in line with the ethos of Curriculum for Excellence. 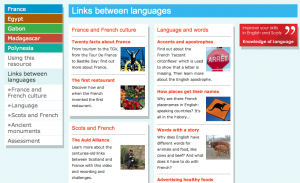 The Passeport challenges and learning journeys are designed to develop and practice key vocabulary to deepen understanding of culture of the French speaking world and to allow learners to see the interconnected nature of languages. Practitioners can use Passeport pour la Francophonie to enhance their professional learning both in terms of their own foreign language skills and developing innovative approaches to teaching a language. 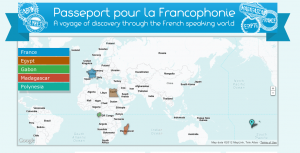 Learners will find that the activities bring languages to life by travelling through five different countries of the Francophonie. 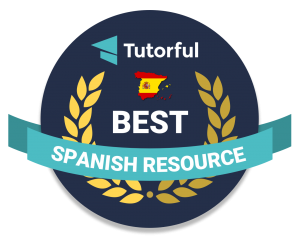 They will discover other cultures, meet children from around the world and gain an understanding and appreciation of their native language and culture. Passeport pour la Francophonie will be demonstrated at the Scottish Learning Festival on the Education Scotland stand (D65, Hall 3, SECC) on Wednesday 19 September at 11.30am and on Thursday 20 September at 10.30am. And looking at the website, it looks really great! 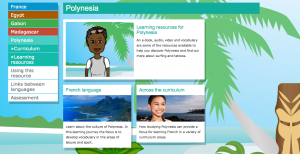 There are ebooks, sound files, videos and clear lesson ideas and plans with links to the Scottish curriculum. I love the way that it’s not about the language in isolation but about experiencing the culture and the “sights and sounds” of different places that have a common language. Below you can hear Fhiona Fisher of Education Scotland speaking about just that – ‘widening out’ the idea of French as European to go on a voyage in their imaginations to see it as a worldwide language, and how language learning can be done cross-curricularly.